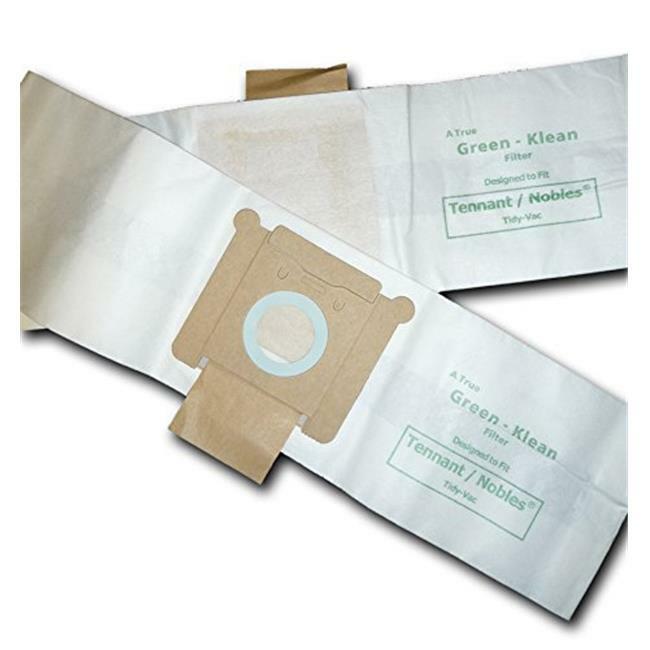 Tennant/Nobles Tidy-Vac Canister & Tennant Model 3400 Replacement Vacuum Bags (10/10 Packs Per Case) Green Klean Replacement Vacuum Bags Use The Highest Quality Micro-Plus Filter Media Including Melt-Blown Inner Liner In Order To Achieve Filtration Efficiencies Up To 99.9%. Designed Specifically For Commercial Use, They Are Always Equal To, Or Exceed Oem Quality. Better Filtration Means Cleaner Air, Less Dusting, Longer Secondary Filter Life, At Considerable Savings.